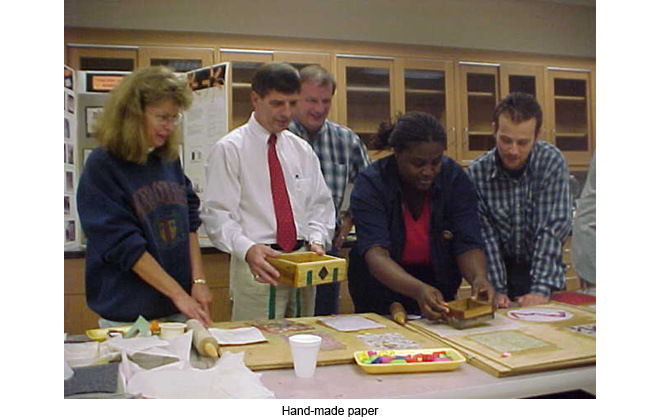 1997-2000.“Creative Applications in Environmental Education” : a collaboration between University of Maryland System (Appalachian Environmental Science Center) and the State of Maryland Department of Juvenile Justice (DJJ). 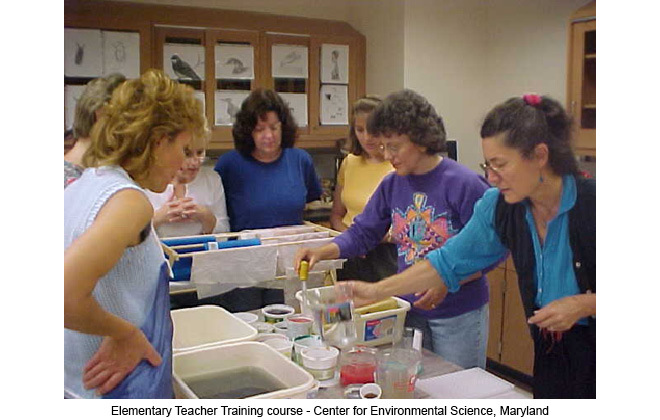 An Environmental Education Program was created between the State of Maryland Department of Juvenile Justice (DJJ) and the Maryland University System – representing a novel approach toward subjects at the interface of art and science. Observation was a fundamental link in this innovative pilot program – aimed at providing further educational opportunities for self-development and the rehabilitation of adjudicated urban youth temporarily placed in rural W. Maryland Youth Camps. The 22-week programme included both a theoretical component related to aesthetic concepts, students’ relationship to their environment, waste management, observation/drawing exercises, as well as hands-on techniques in creative recycling: using a maximum of locally available, recyclable materials (paper, clay, vegetable scraps, tea-bags, sand, rags etc). 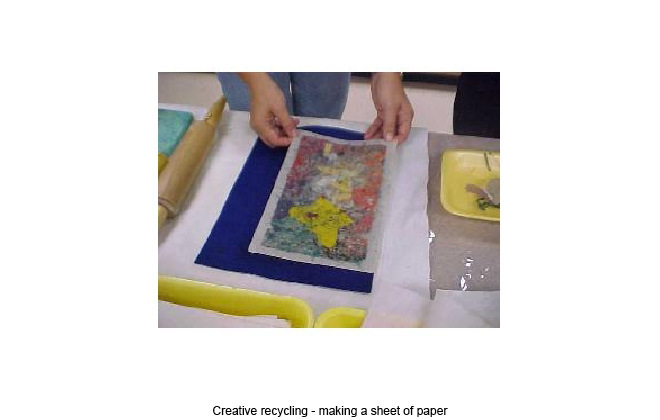 Students also discovered the art of hand-made paper and its potential use in book-making, cards and posters, as well as design concepts for T-shirts. Those talented students who participated in exhibitions and conferences – organised by both Maryland DJJ, as well as Maryland University of Biotechnology Institute – were often surprised by their latent abilities and skills in drawing, making hand-made paper, cards and books, as well as designing posters and T-shirts. Appalachian Environmental Science Center (University of Maryland System) organized this course, sponsored by Maryland State Arts Council Frostburg State University, Maryland and attended by 20 teachers. The course itself included many of the same components as the course (running concurrently) with adjudicated students from the Maryland Department of Juvenile Justice.